Chief Operating Officer Middle East for Marriott International and founder of Road to Awareness, Guido De Wilde and the United Nation's Children's Fund (UNICEF) is set for this year's 10th anniversary with Annual Road to Awareness Campaign to raise $500,000 for underprivileged children with a three day 600km cycle challenge across Jordan from October 12th to 14th this year. Launched in 2008, the Road to Awareness campaign has raised close to USD seven million with the goal of making a positive difference to underprivileged children living in the communities that the group’s hotels operate in. The three-day bike ride continues to be a major highlight of the programme. 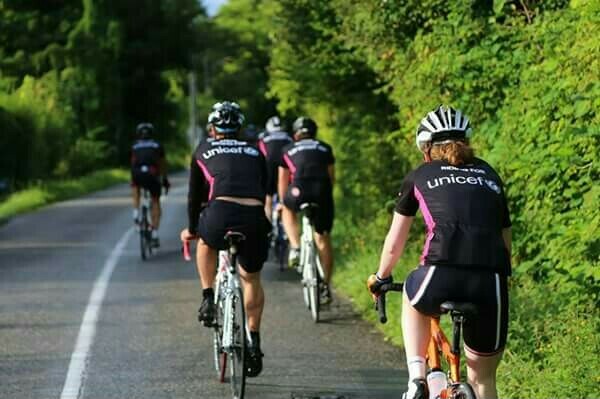 It all began 10 years ago when a handful of senior associates at Starwood Hotels & Resorts, decided to take on a three-day cycling challenge in the French Alps in aid of UNICEF: “We wanted to give back to the community – it’s part of our nature as hoteliers, being the kind of people who like to look after and support others. The generosity, spirit, and commitment demonstrated by our associates across the region who take part each year always inspires me and makes me so proud,” Guido said. This year, the campaign – which is now under the Marriott International umbrella – will be celebrating its 10th anniversary with a 600km cycle challenge through Jordan. The COO added that the team would ride across the country, that has yet been undiscovered in the world of cycling, hoping to not only showcase the power of the sport but also provide team members with a stunning backdrop for their efforts. The ride on day 1 will begin from the Dead Sea, which, at 383 metres below sea level is the lowest point on Earth, and head in a fairly straight line to the beautiful seaside town of Aqaba. Day two will see the group ride from Aqaba to the legendary historical city of Petra while day three will lead them back down to the Dead Sea. According to Guido, the cycle challenge will receive a high level of local support, with Cycling Jordan providing a mechanic and support car for the duration. The objective of the 24 associates who signed up for the challenge – from Night Managers to C-level associates – is to raise a minimum total of $500,000 for a number of regional charities, each selected by the individual associates for a cause close to their heart. Now, Zee Ismail, Rooms Division Manager at Protea Hotel by Marriott Cape Town Waterfront Breakwater Lodge, is an avid cyclist who has a rigorous training schedule. “I may never get the opportunity to do this again while creating lifelong memories. Charitable causes over the world always need support, and for me to help in a small way while on my bike is a privilege,” he says. Therefore, Guido assured the world that the campaign’s ongoing objective is to not only make a positive difference in the world and aid those living in underprivileged circumstances, but also to encourage their employees to live healthier, fitter lives while creating unforgettable memories and fostering life-long friendships.